Bedford-Sackville Physiotherapy Clinic is locally owned and proud to be part of the Bedford-Lower Sackville community. We feel it is important to be an active member and that by supporting local groups and teams we can help improve the lives of those around us. 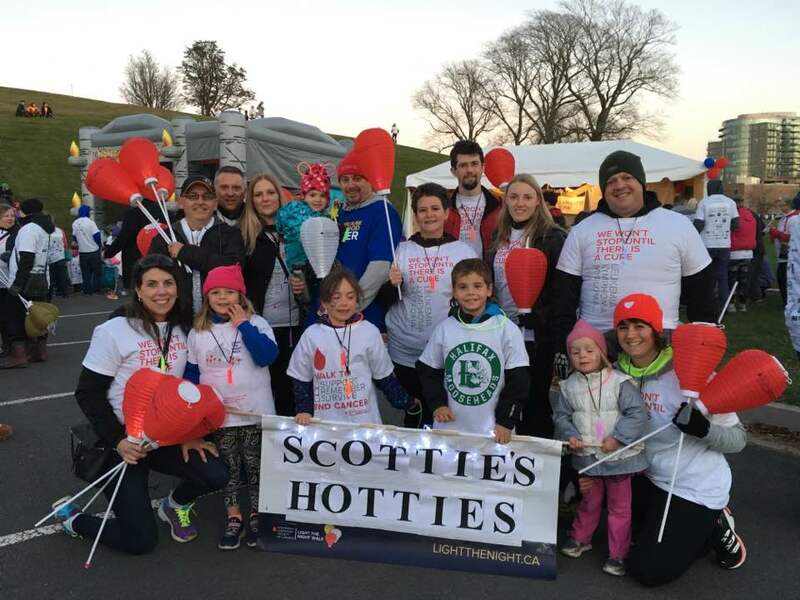 Each year the Bedford-Sackville Physiotherapy Team put on their walking shoes in support of the Light the Night, a fundraiser to contribute to the fight to end blood cancers. A sincere thank you to all who supported our fundraising efforts for this important event! As promoters of active living, Bedford-Sackville Physiotherapy Clinic is proud to support the athletes of the local hockey and ringette teams of the Sackville Flyers. We provide injured players with quality treatment as well as fundraising support! Feed Nova Scotia is a charitable organization that helps feed hungry people by collecting and distributing food to more than 150 member agency food banks and meal programs, while at the same time striving to eliminate chronic hunger and poverty through research, awareness and support programs. Every year hundreds of families receive help through their Christmas Adopt a Family program, and events like the Great Canadian Food Fight and Canstruction Nova Scotia! To find out more, check out their website at www.feednovascotia.ca. We agree that the best way to decide what you enjoy doing is to try it. We have supported the Millwood High, Sackville High and Lockview High School by providing both opportunities to shadow a therapist for a day as well as full coop placements, which allow students to experience physiotherapy, massage therapy, occupational therapy and office administration as professions. We also have helped keep their athletes in "game." Along with our local neighbors we extend a helping hand to our neighbors in Canada and around the world by supporting the efforts of World Vision. As a team we stay involved in many professional associations to stay on top of the most effective techniques, to provide the best quality care and to support our professions.